If you are going to court for a claim less than £10,000 in value, you need to be familiar with the small claims track of the court system, commonly referred to as the small claims court. Our site is here to give you an overview of what the procedure is, what to expect and tips to improve your chances of winning. The content on this site and the Ultimate Guide are prepared by an experienced litigation solicitor, using easy to understand language. Our site relates only to simple claims in England & Wales. It does not cover claims such as personal injury, employment or landlord & tenant, as the Civil Procedure Rules for those types of claim are different. Download your copy of the ultimate guide to improve your chances of success. What Is The Small Claims Court And Why Use It? Hundreds of thousands of claims are started each year in the courts. How does the court deal with low value civil claims and what difference is there to higher value claims? What is the small claims mediation service and is it worth using? The saying goes “fail to prepare and prepare to fail”. The more quality preparation you make in advance of the hearing, the better chance you give yourself at trial. In particular, it is very important to meet any deadlines set by the court. What to expect on the day of the small claims court trial. What should you call the Judge? What if the other person is lying? The process needn’t be nerve-wrecking. The more prepared you are, the less nervous you should be. Subscribe to receive this along with news and updates. This site was created to help those who might not have been to court and are worried about not knowing the rules and correct procedure. Whilst we cannot go over every type of claim or problem that might arise, we hope to give you an overview of what to expect and deal with the most common issues you might want to know more about. We cannot provide advice or respond to specific questions but we will add content as and when we can, covering areas people need help with. As well as this site, we have produced our Ultimate Guide, which is a comprehensive guide of the small claims court process, from start to finish and in easy to understand language. This site and our Ultimate Guide only relate to small claims in England and Wales. Other countries, even Scotland, have different rules. It deals with simple small claims matters and not specialist disputes such as personal injury, employment or landlord & tenant disputes as they have their own special rules in the court procedure (the Civil Procedure Rules). If you need advice or representation, we strongly urge you to consider using a direct access barrister. 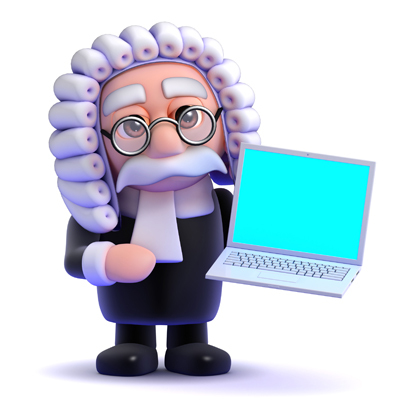 Using a barrister is not expensive as you may think and they often work to fixed fees creating certainty of cost. Also, you can instruct a barrister without using a solicitor at all. For more details, click the Clerksroom logo below. Please watch our introductory video for an overview of who we are and what we do.